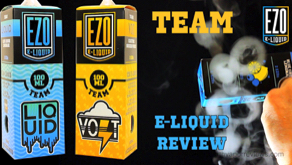 A review of the Team Trick Box line by EZO E-Liquid. 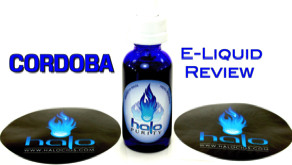 70VG/30PG blends the Team line is available in 100ml and shortfill bottles in 0,3 and 6 milligrams of nicotine. The e-liquid containers are the world’s first vape trick box. A review of two sweet, fruit e-liquid flavors by Shijin Vapor. SherThang and Frozen Grapes are 70VG/30PG blends handcrafted in an ISO 8 certified cleanroom facility. They are available in 60ml bottles in 0, 3 and 6 milligrams of..
A review of Deja Brew e-liquid by Shijin Vapor. This 70VG/30PG blend is handcrafted in an ISO 8 certified cleanroom facility. Deja Brew is available in 60ml bottles in 0, 3 and 6 milligrams of nicotine. 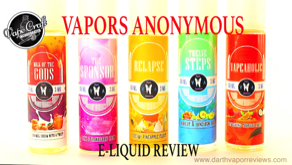 A review of the Tasty O’s e-liquid line by Shijin Vapor. Tasty O's are 70VG/30PG blends handcrafted in an ISO 8 certified cleanroom facility. Tasty O's are available in 100ml bottles in 0, 3 and 6 milligrams of nicotine. A review of the Baked Goods e-liquid line by Shijin Vapor. This 70VG/30PG line is handcrafted in an ISO 8 certified cleanroom facility. Baked Goods is available in 60ml bottles in 0, 3 and 6 milligrams of nicotine. A review of the Dairy Drip line by VML. Created in Branford, Connecticut, Dairy Drip is manufactured in an ISO 7 pharmaceutical grade lab. They are Max VG blends available in 100ml bottles in three nicotine levels. 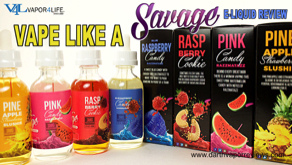 A review of four popular flavors from the Vape Like A Savage e-liquid line. 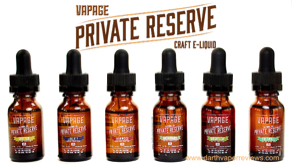 Based out of Orange County, California, the Vape Like A Savag e-liquid line is a 75VG/25PG blend available in 60ml bottles in four nicotine levels.